Central and Southwest Virginia’s Morning News is the area’s fastest source for urgent breaking news, local information, and reliable weather. Hit your WFIR preset as soon as you get up to hear an accurate and dependable forecast. Listen again in the car on your way to work for breaking updates and the top stories updated every 15 minutes. Honored as 2016, 2017, 2018 and 2019 Associated Press “Best Newscast” among radio stations in Virginia’s largest cities. Honored as 2014, 2015, 2017 and 2018 Virginia Association of Broadcasters “Outstanding Newscast” among radio stations in Virginia’s largest cities. Honored as 2019 Associated Press “Best Website” among radio stations in Virginia’s largest cities. Joey is from Warsaw, VA, part of the historic “Northern Neck”. He began his broadcasting career in 1984, moving to Blacksburg in 1994 and then to Roanoke. 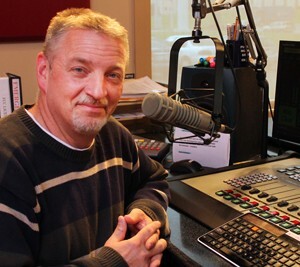 He is an avid News/Sports fan and loves hosting the “Roanoke Valley’s Morning News” each weekday morning from 5-9. Joey and wife Sue have two daughters, Maggie 22 and Montgomery 13. 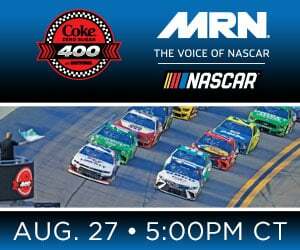 Joey is also involved in motorsports, doing track announcing for NASCAR events at Martinsville Speedway and Richmond Raceway. He also worked at Daytona International Speedway for “Speedweek 2012″, including the Daytona 500.